Lately, I’ve been craving to have a quick break from the city just to unwind especially when you’re overdosed with work. And I knew a quick staycation is just what I needed. I could spend the day sleeping, eating my favorite comfort food, and a having a massage. That’s why my most recent staycation experience couldn’t have come at the perfect time and thought I’d share it with you. 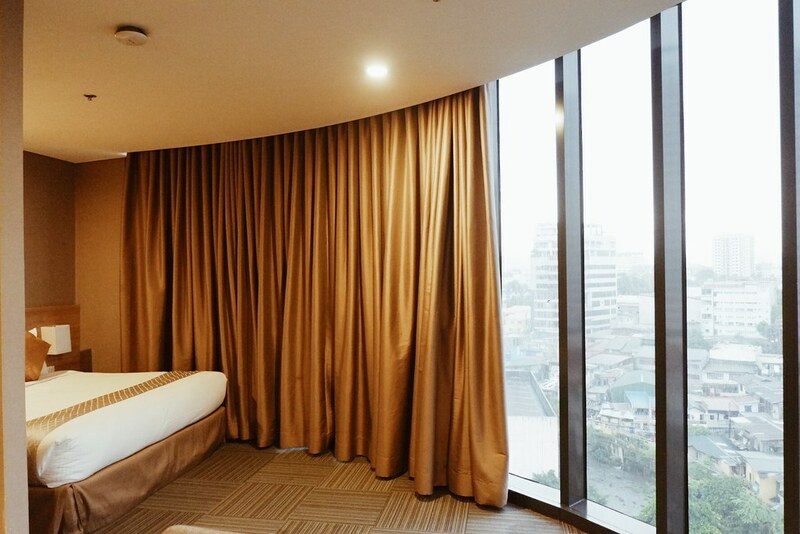 Madison 101 Hotel + Tower is a hotel, transient, and event venue situated in New Manila, Quezon City. With its prime location, staying here and getting around was so easy and convenient. Nearby attractions such as malls, events and concert venues, museums, and churches are within reach. 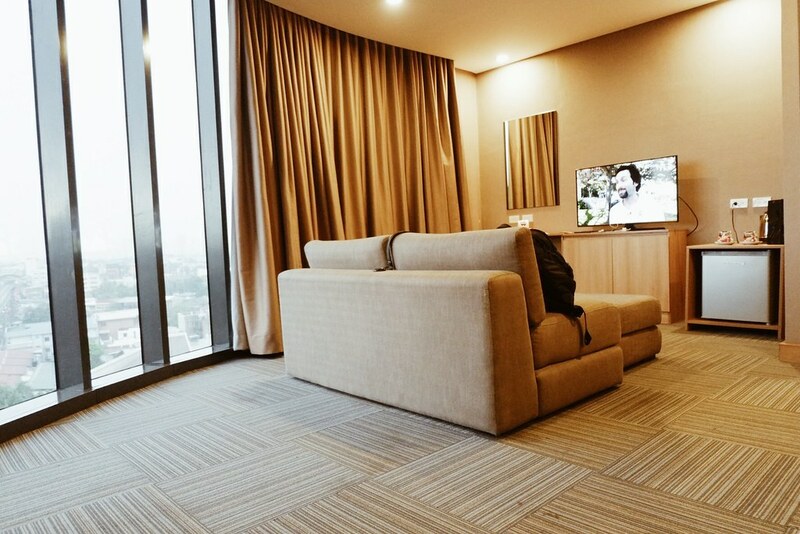 I had the luxury of checking-in to this fabulous and luxurious Premiere Suite with a beautiful view of the cityscape. I fell in love with it the moment I set foot. 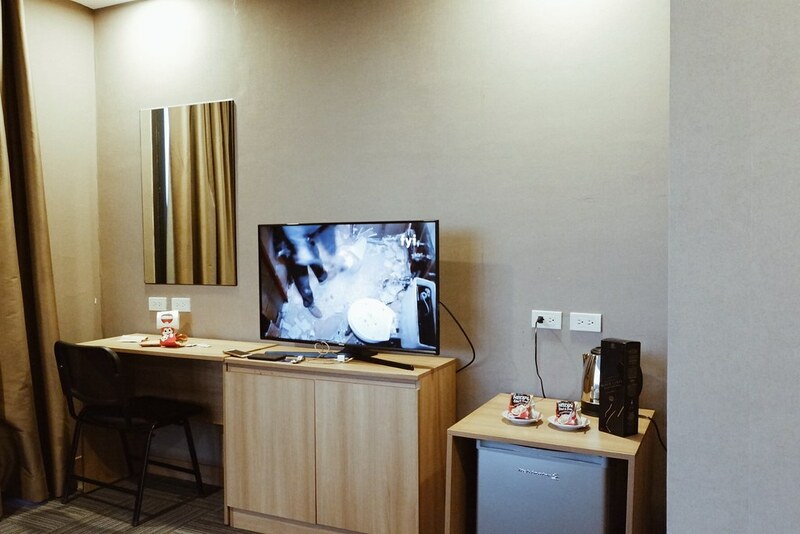 It was my first time here and I was so impressed with Madison 101 because of their affordable rates and superb service. This suite offers a king size bed with comfy, fresh, and clean pillows and linens, and feature Wi-Fi connection, LED TV with cable channels, a mini fridge, electric kettle, and coffee table. 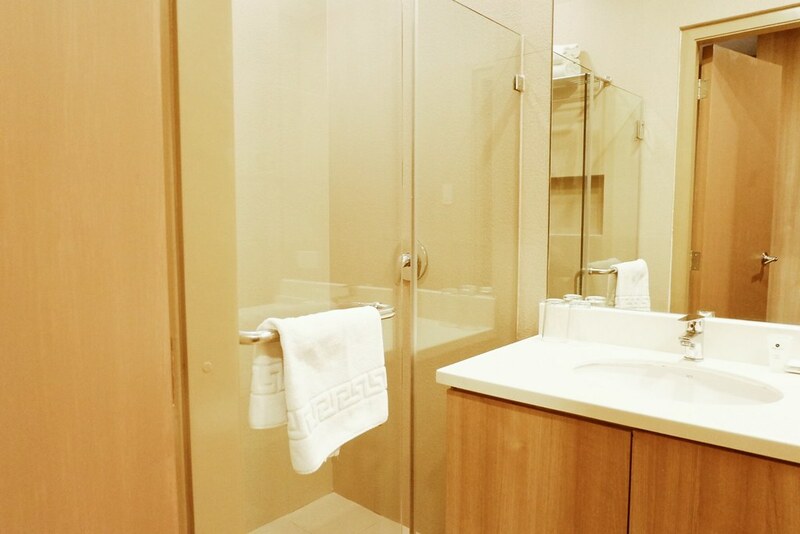 The bathroom has a rain shower, very clean and well-maintained. 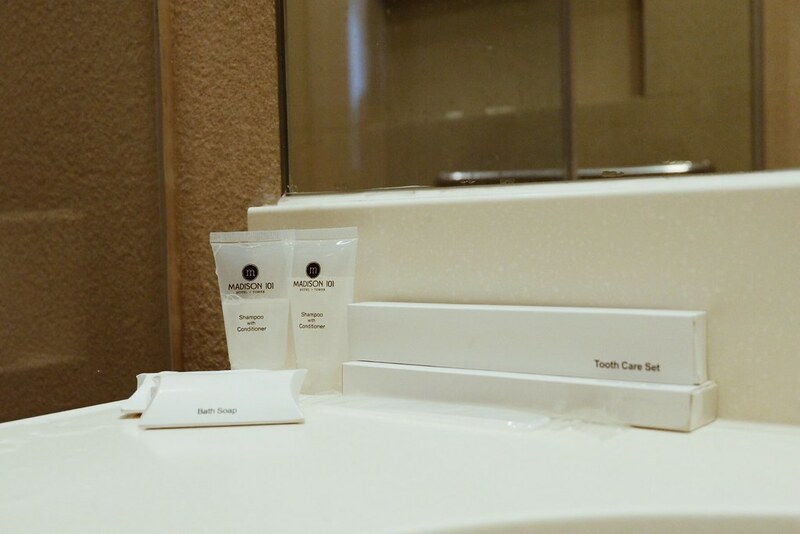 They also offer complimentary eco-friendly bath products. I was able to have a good night rest since we had an in-room massage service which you can request as an add-on for a really affordable price. The masseuse was so professional and well trained, she really knew how to balance pressure on points. It was so relaxing and it definitely completed my staycation experience. My overall stay was as equally amazing as the suite. I’m surely gonna miss this place, a great value for money staycation. If this sounds good to you, book your stay now. Who knows, you might get a discount if you tipped you read it from me. Thanks to Madison 101 Hotel + Tower for a wonderful staycation! This is a sponsored post by Madison 101 Hotel + Tower. All thoughts and experience stated in this post are entirely my own.